There is no doubt that jQuery is very popular among the developers because of its flexibility versatility. jQuery offers several exciting features that’s why it is the most widely used technology in the web. Nowadays, so many plugins are created by using jQuery. In this collection, we have gathered 16 jQuery calendar date picker plugins. These jQuery calendar date picker plugins are smart, elegant and simple and will make your output planners and calendars even more easier for you. These plugins can directly be integrated into your website and only need some small changes. All of these jQuery calendar date picker plugins are built on jQuery and jQuery UI (User Interface), and will help those designers and developers who really want awesome frameworks with great functionality. What do you have to say about this assortment? You can easily add the functionality of inputting date to your web forms and pages with this jQuery Calendar datepicker plug-in. this is a quite versatile and clean plugin for jQuery that can be used in unlimited ways to allow you to add calendar widgets to your pages. With this plugin, you can very easily perform your job because it is a simple, customizable, lightweight date picker calendar plugin for jQuery weighing in 4KB compressed (11KB uncompressed). This is another light-weight calendar/date-picker plugin that comes with a feature that will allow you to change dates, years, months and days from the mouse wheels. This is an easy to fit Date Picker component for your website that comes with a lot of options. This jQuery calendar date picker plugin is specially designed just like Google Calendar and it gives the full month calendar. With this plugin, you can easily enrich your forms by adding the date picker functionality to them with just a few clicks. A calendar icon automatically appears with the indicated input fields that will open the attached date picker when it is clicked. 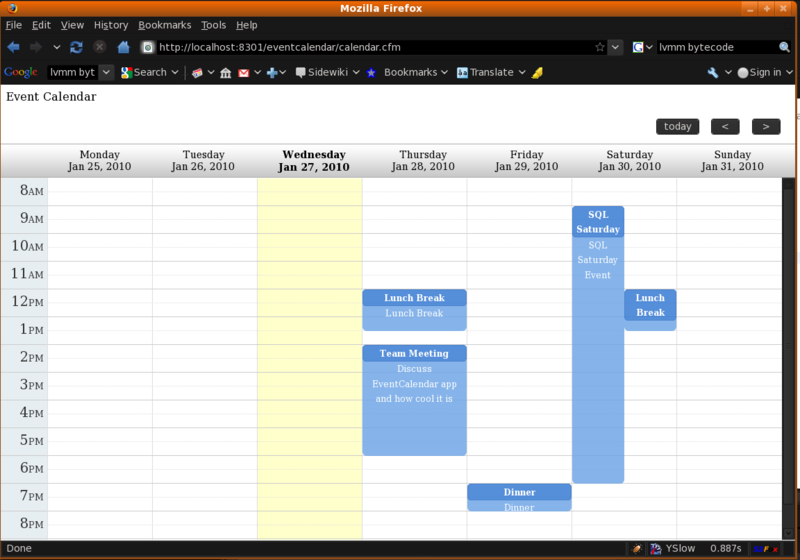 This is a jQuery and ColdFusion event calendar that looks somewhat similar to the Google Calendar system. With this plugin, you can share calendar information throughout your organization. The jQuery UI Datepicker is one of the most highly configurable plugins. You can easily add date picking functionality to your web pages with the help of this plugin. Date format and language can easily be customized, selectable date ranges can be restricted and buttons and other navigation options can also be added easily. This exclusive jQuery calendar plugin will help you to add most comprehensive date picking functionality to your web forms. 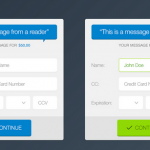 This plugin works with3 form selects. You can select one for day, month and year. This jQuery plugin allows you to select dates “from – to”. Further, it is an open source and tested plugin for forking, pushing and pulling at Github. JQuery Event Calendar Plugin is a Google calendar clone based on jQuery that covers most of the Google calendar features. Events can easily be created, updated or removed by dragging and dropping, and users can choose to have a daily view, weekly view or monthly view. With this plugin, you can easily add dates in your web forms along with the month and year. This is another jQuery based time picker plugin that will allow you to try different configuration options. You can do this very easily by setting the options first and then clicking again on field or clock. A full-sized and drag & drop calendar is provided with this jQuery plugin. AJAX is used in order to fetch events on-the-fly for each month and is easily configured to use your own feed format (an extension is provided for Google Calendar).